University of Louisville football fans want Papa John’s founder’s name off of Cardinal Stadium. Because its founder, John Schnatter who resigned last week, admitted to using the N-word on a conference call with marketing agency Laundry Service. But it wasn’t used as a racial slur– it was used within the context of describing someone else’s use, which he stated that he didn’t like. Schnatter says resigning was a mistake and blames the board for its decision to remove him as its chairman solely based on “rumor and innuendo” and not actually investigating the facts, according to a letter obtained by CNNMoney. In the letter he explains that Laundry Service wanted to hire rapper Kanye West to represent Papa John’s in advertising materials, but Schnatter said no because he doesn’t like the fact that West uses the N-word in his lyrics. Schnatter claimed the agency asked if he was racist, and he used the N-word in describing how KFC’s Colonel Sanders used to talk. His attorney also sent a letter to the board stating any attempt to remove him from the board without a “proper vote of the shareholders will be null and void.” Schnatter still owns roughly 30 percent of Papa John’s shares. But Schnatter didn’t use the N-word– as a racial slur– so why was he fired? If he was black and used the N-word would he have been asked if he was a racist? Instead, of fairness, tolerance, or a rational approach, Schnatter was kicked out of his office in Louisville. 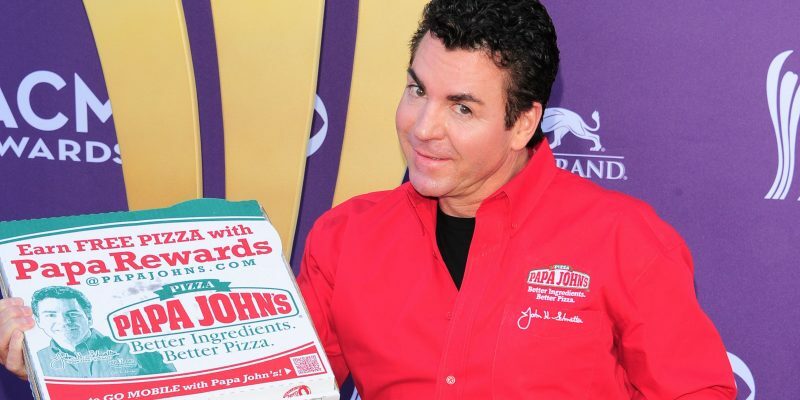 Papa John’s removed his image from its pizza boxes and pulled ads that feature him. Didn’t anyone watch Whoopie Goldberg’s outrageous behavior? Was she fired? Was she removed from her office? Is she being financially penalized? It appears that Schnatter is being targeted and unfairly accused. Could it be because he is a Trump supporter?